Priyadarshini Institute of Engineering and Technology (PIET) is one of the prestigious engineering institutes run by Lokmanya Tilak Jankalyan Sikshan Sanstha (LTJSS), Nagpur. This department is dedicated to the advancement, propagation and exploitation of knowledge in the field of engineering and technology. The department offers a four-year course culminating in the bachelor's degree in Electronics and Telecommunication Engineering and Masters of Engineering for two year with specialization in Communication. Dept is having latest art of advanced equipments in laboratory. Team of dedicated, highly qualified faculty members is always kin to share their expertise with young budding engineers. 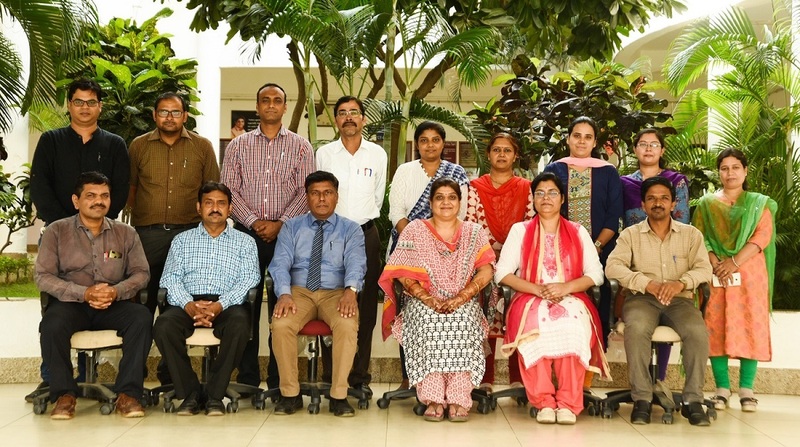 Departmental faculty, supporting staff and students function like a close knit family which creates a very conducive atmosphere for student's development. All staff members are approachable to students for any of their problems, whether academic or non-academic. The department aims to develop the students technically and make them mentally strong to face the challenges ahead. The Department also strives to offer its students excellent instructional and educational opportunities in Electronics and Telecommunication Engineering, thus providing a durable technical foundation in an environment of rapid technical change. In this process, it enables and promotes their professional growth through contact with best professional practice. 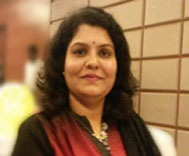 The department thus tries to play a role of resource and technical leadership in national level development activities. 1. Well equipped lab to conduct research in Image Processing, VLSI, Networking etc. 2. Well qualified and experienced faculty rich in Industrial and Teaching experience. 3. Guest lecturers are invited from eminent personalities in industries and research foundations & workshops in various areas of expertise. 4. Access to Internet for students and staff through 4 Mbps leased line. 5. Effective teaching learning process is implemented by schemes like Teacher Guardian Scheme, Class Teacher scheme, continuous assessment of students etc. 7. A national level Project exhibition & conference - 'NIRMITI' is organized every year jointly by the various departments of PIET. Developing versatile technocrats in the field of Electronics and Communication Engineering to cater to the needs of technological and socio economic development of the country and globe. To foster research based quality technical education in Electronics and Communication Engineering. To develop skilled engineers to meet the rapid technological advances in the industries. To develop multifaceted personalities with sound academics and business acumen. To nurture high moral values in budding technocrats. To provide engineers with perfect blend of knowledge and social responsibilities to the society. To organise students to succeed in employment/profession and/or to pursue postgraduate & research education in Electronics & Communication Engineering and allied Engineering disciplines. To provide students with a solid foundation in mathematical, scientific and engineering fundamentals required to formulate, analyze & solve engineering problems related to Electronics & Communication Engineering in particular and Engineering practice in general. To prepare students with good scientific and engineering span so as to understand, analyze, design, create novel systems and solve multidisciplinary problems. To inculcate in students professional and ethical attitude, effective communication proficiency, teamwork and an ability to relate engineering to global perspective issues and social context. To provide students with an academic environment that cultivates excellence, ethics, transparency, leadership and encourage awareness of life-long learning. To apply knowledge and hands-on competence in the areas of circuit analysis & design, communication systems, signal & image processing and embedded system. To use computer aided design (CAD) tools to create an environment to design & analyze Electronics & Communication systems. Ph. D.(Wireless Comm. ), M. Tech. 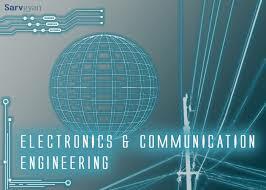 Electronics and Communication cover vast areas in the field of engineering. 2. Software Industries, some of them are Reliance, Nokia, Tata, LG, Wipro, Infosys, TCS, etc. 3. Central government departments like Defence, Railways, All India Radio, Airport Authority of India, Post and Telegraph, Indian Engineering Services, etc. 1. 9 Well equiped labs. 3. Regular conduction of workshops, STTP, Industrial visits. 4. Student participation in NIT's and IIT's. The Student Progressive Association of Communication Engineering (SPACE) is departmental professional society devoted to the advancement of Science and Technology of Electronics & Communication founded in Priyadarshini Institute of Engineering and Technology, Nagpur. The SPACE provides leadership in Scientific and Technical areas of direct importance to the development of student’s hidden skill. The objectives of SPACE focus on advancing electro-technology. The SPACE conducts and technical meetings, conferences, symposia, and exhibitions in college for students, publishes technical journals and provides continuing education as well as career advancement opportunities to its members. 1. To plan and organize technical programmes and activities, such as, special lectures, workshops, seminars, symposia, exhibitions etc for the benefit of student members on a regular basis. 2. To provide a common platform for the student members to exchange ideas and information on the topics of their interest e.g. 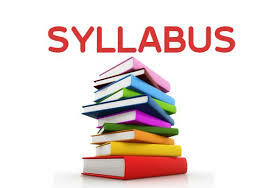 curriculum, employment / higher educational opportunities, emerging trends, new development etc. 3. To facilitate technical visits / practical training / project work / employment, of the student members in R&D laboratories, industries, academic institutions etc. 4. To encourage team work and the spirit of self-reliance among the student members. 5. To serve as a focal point at the institution on all aspects of professional development of the student members. IEEE is an Institute of Electrical and Electronics Engineers is a non profit making organization dedicated to advancing technology for benefit of humamity. IEEE has a worlswide network through its geographical regions, Sections and subsections. There are total 10 regions of operation, out of which Asia -Pacific region is a large geographic region having around 90 sections, subsections and councils. IEEE tries to serve for technology advancing through its various societies and chapters. IEEE student branch is a small functional unit of the main organization and can be formed at any educational institute to serve IEEE student members. IEEE student branch at our college was established in december 2011 and catering its services to Electronics & Communication engg, Computer science engineering, Information Technology, Electrical Engineering as allied branches.IEEE student branch gives a annual student membership at $27 and annual professional membership at $81. IEEE student branch functions through the core committee comprising of IEEE student members formed every year. The branch has so far conducted workshops on basic and advanced robotics, Ethical Hacking , FPGA based system design. Also we had a robotics workshop as a prelim round for techfest at IIT Bombay.The branch has taken initiative to organise various Bombay section actitvities like SKEP and DL.IEEE cell also has deputed our students and faculty members for Branch Counselor and Branch Chair meet at S.B.Jain Institute of Technology, Nagpur. 1. Create more student membership benefits at all IEEE levels. 2. Develop student activities (including contests, awards and promotion programs) and encourage students to participate in these activities and represent themselves in the global copetition. 3. Foster Student Members’ awareness of IEEE activities and existing benefits. 4. Represent student interests and voice student concerns. Help with communication between existing Branches, Chapters, and Affinity Groups. 5. Every year NCOAT Nirmiti is conducted under the banner of IEEE student branch. Similarly many workshops, departmental competitions, guest lectures conducted under branch activity. Sr.No. Name of Student Department Post Contact No. The Institution of Electronics and Telecommunication Engineers (IETE) is India's leading recognised professional society devoted to the advancement of Science and Technology of Electronics, Telecommunication & IT. Founded in 1953. The IETE is the National Apex Professional body of Electronics and Telecommunication, Computer Science and IT Professionals. It serves more than 1, 25,000 members (including Corporate, Student and ISF members) through various 64 Centres, spread all over India and abroad. The Institution provides leadership in Scientific and Technical areas of direct importance to the national development and economy. Government of India has recognised IETE as a Scientific and Industrial Research Organization (SIRO) and also notified as an educational Institution of national eminence. The objectives of IETE focus on advancing electro-technology. The IETE conducts and sponsors technical meetings, conferences, symposia, and exhibitions all over India, publishes technical journals and provides continuing education as well as career advancement opportunities to its members. The IETE focuses on advancement of the Science and Technology of Electronics, Telecommunication, Computers, Information Technology and related areas. Towards this end the Institution promotes and conducts basic engineering and continuing technical education programmers for human resource development. 1. The IETE Nagpur Centre organized a quiz competition on Communication and Space Technology for ISF members as well as for other diploma colleges & Engg colleges in 2016. 2. ISF at PIET, Nagpur, conducted a E-Blast 2016-17 intra college bread board competition, paper presentation, debate, and quiz competition for ECE students. 3. The IETE Nagpur Centre organized a quiz competition on Internet of Things (IOT) for ISF members as well as for other diploma colleges & Engg colleges in 2015. 4. ISF at PIET, Nagpur, conducted a E-Blast 2015-16 intra college bread board competition, paper presentation, debate, and quiz competition for ECE students. 5. ISF at PIET, Nagpur conducted a three day workshop on Microcontroller Based Project Development workshop for Diploma students during Jan 29-31, 2014. 6. The IETE Nagpur center organized a seminar on Career Prospectus beyond Engineering at Krishna, Level 3 seminar Hall, behind IT Park, Nagpur. 7. The ISF organized 3 days hands on workshop on Digital VLSI Design Using FPGA on Sep 1st to 3rd, 2014 with the speakers: Mr. Raj Vardhan, Director, JDM Design Technology Nagpur. National Service Scheme (NSS) unit of Priyadarshini Institute of Engg & Technology , installed in session 2010-11 with the capacity of 50 students ,Now it is upgraded with the capacity of 200 students , affiliated with NSS , Rashtrasant Tukdoji Maharaj Nagpur University , Nagpur. The overall aim of National Service Scheme as envisaged earlier, is to give an extension dimension to the higher education system and orient the student youth to community service while they are studying in educational institution. The reason for the formulation of this objective is the general realization that the college level students have a tendency to get alienated from the village/slum masses which constitute the majority of the population of the country. The educated youth who are expected to take the reins of administration in future are found to be unaware of the problems of the village/slum community and in certain cases are indifferent towards their needs and problems. Therefore it is necessary to arouse the social conscience of the students, and to provide them an opportunity to work with the people in the villages and slums. It is felt that their interaction with the common villagers and slum dwellers will expose them to the realities of life and bring about a change in their social perception. 2. Understand themselves in relation to their community. 3. Identify the needs and problems of the community and involve them in problem solving process. 4. Develop among themselves a sense of social and civic responsibility. 5. Utilize their knowledge in finding practical solution to individual and community problems. 6. Develop competence required for group living and sharing of responsibilities. 7. Gain skills in mobilizing community participation. 8. Acquire leadership qualities and democratic attitude. 9. Develop capacity to meet emergencies and natural disasters. Sr.No. Name of Faculty Department Contact No. Nodal Co-ordinator, Virtual Labs Nodal Center, PIET, Nagpur. Good lab facilities and updated lab experiments are critical for any engineering college. Physical distances and the lack of resources often make it difficult to perform experiments, especially when they involve sophisticated instruments. Also, good teachers are always a scarce resource. The ‘Virtual Labs’ project addresses this issue of lack of good lab facilities, as well as trained teachers, by making remote experimentation possible. With the present day internet and computer technologies, these limitations no longer hamper students and researchers in enhancing their skills and knowledge. Also, in a country such as ours, costly instruments and equipment need to be shared with fellow researchers to the extent possible. Yet another objective is to arouse the curiosity of the students and permit them to learn at their own pace. This facilitates the absorption of basic and advanced concepts throughremote experimentation. Internet based experimentation further permits use of resources – knowledge, software, and data available on the web, apart from encouraging skilful experiments being simultaneously performed at points separated in space. To provide remote-access to Labs in various disciplines of Science and Engineering. These Virtual Labs would cater to students at the undergraduate level, post graduate level as well as to research scholars. To provide a complete Learning Management System around the Virtual Labs where the students can avail the various tools for learning, including additional web-resources, video-lectures, animated demonstrations and self evaluation. To share costly equipment and resources, which are otherwise available to limited number of users due to constraints on time and geographical distance. 1. Total 75 workshops conducted for Students on Virtual Labs at PIET Nodal Center, in collaboration with IIT Bombay, an MHRD Govt. Of India Initiative, under NMEICT (National Mission on Education through ICT). 2. Around 2000 Students have been trained and 10000 Experiments has been conducted at PIET, Virtual Labs Nodal Center. 3. 3 outreach workshops for the Faculty Members from PR Pote Patil College of Engg. & Management, Amravati, SGSS, Shegaon, DBACER, Nagpur, GHRAET, Nagpur has been conducted successfull. 1. 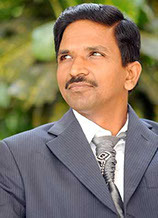 Bibin Gokuldas 2006 Infosys Ltd Lead Consultant Munich, Germany +49 152 366 93671 80,000 Euro p.a. +91 9766773443 35,000 GBP p.a.